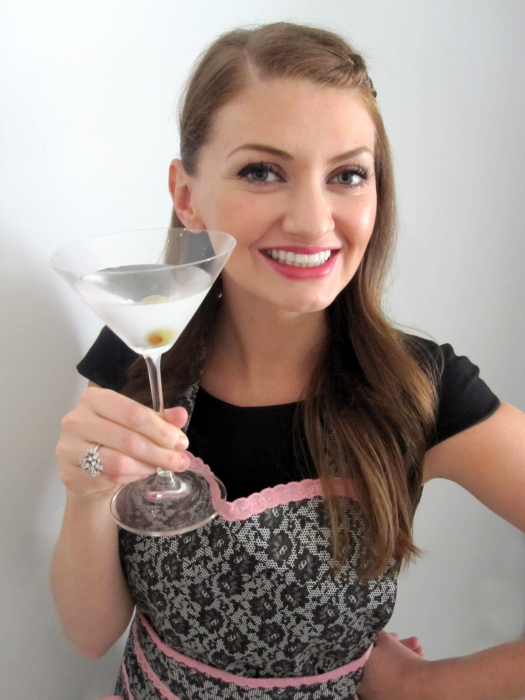 I was assigned Lavender and Lovage, a gorgeously-photographed blog full of amazing recipes. 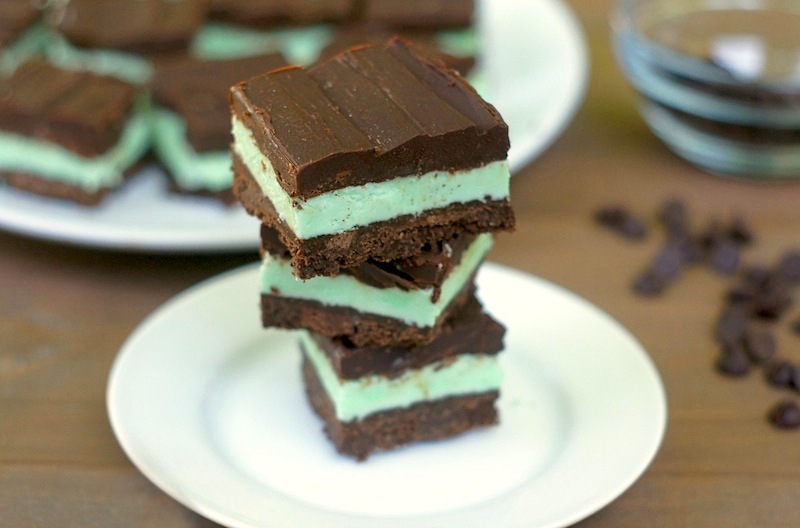 After looking through a bunch of recipes, I decided on No-Bake Chocolate Mint Bars. I love the combo of chocolate + mint (as evidenced by my Peppermint Patty Brownie Cupcakes, Andes Mint Chip Cookies, + Mint Chocolate Chip Cocktail) + with the hot weather we’re having here, the no-bake factor was a big bonus. Y’all, these bars are flippin’ delicious. They’ve got a crisp chocolate cookie base topped with a creamy mint layer, then a rich, chocolate ganache-like layer. They taste just like Thin Mints, so if you love those Girl Scout Cookies as much I do, you’ve got to make these! They were SO easy to make, taking a mere 15 minutes to put together. Delicious AND simple? Win! Thank you to Karen for introducing me to these fabulous Chocolate Mint Bars + to the Secret Recipe Club for connecting me, yet again, with fantastic bloggers + amazing recipes! Grease a 9-inch-square baking pan + set aside. Microwave 1/3 cup chocolate chips/morsels + 1/3 cup butter in small, uncovered, microwave-safe bowl on medium-high (70%) power for 30 seconds; Stir. If necessary, microwave at additional 10- to 15-second intervals, stirring just until chocolate is melted. Stir crushed cookies into melted chocoalte mixture. Press onto bottom of prepared pan. Refrigerate for 10 minutes or until firm. Meanwhile, beat 1/3 cup butter, milk, 1/2 teaspoon peppermint extract + vanilla extract in medium mixer bowl until smooth. Gradually beat in powdered sugar until smooth + creamy. Add food coloring, 1 drop at a time, until desired color is reached. Spread powdered sugar mixture evenly over cookie crumb layer. Microwave remaining 1 2/3 cups chocolate chips/morsels, 1/3 cup butter + 1/2 teaspoon peppermint extract in small, uncovered, microwave-safe bowl on medium-high (70%) power for 30 seconds; Stir. If necessary, microwave at additional 10- to 15-second intervals, stirring just until chocolate is melted. Let stand for 10 minutes. Spread chocolate layer evenly over powdered sugar mixture. Refrigerate for at least 2 hours. For easier cutting, allow bars to sit at room temperature for 10 minutes. Is very very good thanks you!